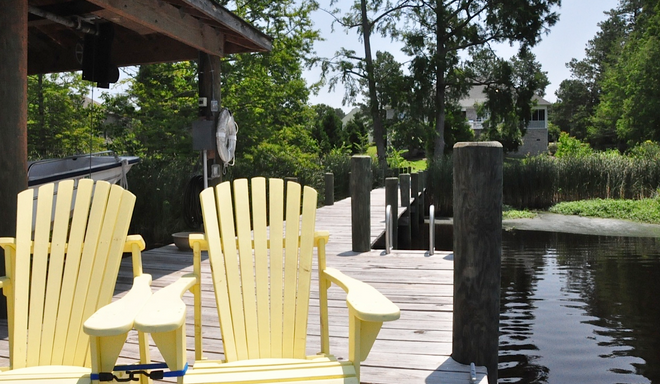 Fairfield Harbour (FFH) is an established, gated, boating and golfing community located on the Neuse River, and boasts one of the largest deep water marinas in the area. FFH boating has unobstructed access to the Intracoastal Waterways, only 18 miles away down the Neuse River. If you’re more of a land animal, enjoy playing a few rounds of golf at the Fairfield Harbour golf course. Many homes come equipped with personal docks on tranquil canals, but also have access to 3 marinas (with over 300 boat-slips). Why move to Fairfield Harbour in New Bern, NC? What homes are for sale in Fairfield Harbour? What are some good schools around Fairfield Harbour? What are fun things to do in Fairfield Harbour? One of the biggest selling points to Fairfield Harbour is the community’s unrestricted access to North Carolina’s waterways, including the Neuse River and Atlantic Ocean. You’ll see people heading out on their boat regularly, either fishing or just enjoying the smooth rides over the water. If you’re interested in joining a club, the community hosts two charters you might be interested in: the Fairfield Harbour Yacht Club and the Blackbeard Sailing Club. When you aren’t spending your time on the water, there are dozens of other clubs and activities going on in the Fairfield Harbour community. It’s just a matter of choosing which one you want to participate in that day. What are some Fairfield Harbour hot spots? Is Fairfield Harbour right for me? If you’ve been looking for your own private place to call home, then I’d say Fairfield Harbour is perfect for you. The secluded location matched with the various outdoor activities offers the perfect haven for anyone looking to relax and forget the past world. If this sounds like something you might enjoy, contact us and we’ll be happy to show you around the neighborhood.